Mortgage Processing Support: We offer specialized mortgage services. Get more information on our mortgage processing support. Mortgage Closing Support: We offer specialized mortgage services. Get more information on our mortgage closing support. Appraisal Support: We offer specialized mortgage services. Get more information on our mortgage appraisal support. Title Support: We offer specialized mortgage services. Get more information on our mortgage title support. Underwriting Support Services: We offer specialized mortgage services. Get more information on our underwriting support services. Mortgage Software: We offer specialized Mortgage Software services. 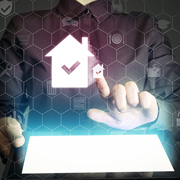 Get more information on our Mortgage Software services and sub-services. Loan Support: We offer specialized loan support services. Get more information on our Loan Support services and sub-services. Mortgage Services Articles: Our mortgage related resources are comprehensive and well-researched. Check out our mortgage articles and resources. Mortgage Origination Cost Went Negative in 2018 - Is It a Good News for Lenders in 2019? Why is Profit Margin Compression the Biggest Hurdle for Mortgage Executives? Cornering the market with a system where purchases are made and delivered with just a few clicks is becoming a mainstream trend so much so that even the real estate and mortgage industry isn't spared from the "Amazon effect." What this means is that the competition from small and mid-sized mortgage companies is brutally overthrown by industry behemoths such as Redfin and Zillow. The rate at which smaller mortgage companies are being gobbled up is something that is considered a big disruption in the mortgage industry. The role of a real estate agent is gradually becoming extinct because mortgage companies are rampantly taking control of the sales funnel due to the demand for the one-stop-shop experience. This is how the new business model is affecting the mortgage industry - by facilitating transactions without a broker involvement. His opinion weighed on these three factors as the reason behind the radical shift in mortgage landscape. The mortgage markets are full of customers who are easily wooed by home-buying experience from the comfort of their living room while sipping coffee. Businesses that unable to deliver the same level of convenience provided by the big players are quickly forgotten. In a recent survey among home buyers, it was found that the emergence of online purchase has decimated the role of real estate agents in the sales cycle. However, this is a stark contrast to the situation a few years ago where real estate agents played a major role in buying and selling of real estate. Today, mortgage companies are in control of sales funnel as well as transactions because they are the ones dealing directly with customers. The customer acquisition has moved to the top of sales funnel while the sales flow is dependent on a home buyer's appetency in fast and cohesive experience. The one-stop-shop business model is inspiring more potential home buyers to get involved in real-estate purchases the same way they would with other e-commerce websites. Experience in real-estate is no longer a relevant criterion to consider before indulging in home buying. One thing that mortgage companies acknowledge is that once a potential real-estate buyer is enticed into the sales funnel with technology and other unique selling propositions they are less likely to fall out. As buyers move down the sales funnel they tend to quickly realize the worthiness, which is great for both lenders and buyers. When you consider the abovementioned factors that have flipped the mortgage industry it is easy to see why the new-found convenience isn't free from certain detriments. Unpredictable marketing conditions and economic pressures are becoming impediments for small mortgage businesses to corner the market - especially the ones that are reluctant to generously exploit the capital, technology, capability, etc. Further, the market for buyers is still in tough times. Due to strained housing affordability and ever-high interest rates, the downward trend in purchase mortgage volume and refinancing is likely to continue. A quick analysis of mortgage trends highlight the home buyer's unconditional bias towards service convenience. So the way forward is to begin by asking if you can provide the technology, one-stop-shop convenience, and the flawless service as a package to keep up with the demand. While big players are slaying the competition by giving customers what they want, smaller companies can avoid being cannibalized by mastering a niche. The Amazon effect is taking over mortgage lending industry and this is part of the present and future mortgage trends. The factors that have flipped the mortgage industry is likely to continue imposing challenges to lenders as well as home buyers. While not every company can become an industry leader, there are ways to capture a fair share of the market. One of them is to relook the existing business model. If you have the ample capital, time, capability, and technology it's easier to take the game to top lenders. However, if you want to take the safer path it's ideal to focus on the niche. Outsource2india is an ISO 9001:2015 company that has supported many lenders and banks worldwide with mortgage solutions. In an era where competition is high from industry behemoths, it is our goal to prevent your potential customers from going to your competitors. By closing the gap between technology and convenience we will ensure that you stay in business with the best customers amidst any marketing conditions. With a team of certified mortgage specialists, we can make the process easier and cost-effective for your needs. We also offer other services such as pre-processing support, mortgage processing support, mortgage closing support, appraisal support, and more. Get in touch with us so we can help you find a mortgage solution that fits your need and the budget. Have a closer look at our Mortgage process before outsourcing. Our mortgage services have created global success stories. Disclaimer: This site is not authorized by the New York State Department of Financial Services. No mortgage solicitation activity or loan applications for properties located in the State of New York can be facilitated through this site. Any contact information on the website is not for use by New York borrowers. All loans placed through 3rd party lenders.